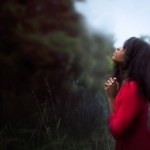 Unfortunately, there are many individuals that have not had the opportunity, the practice, or the basic explanation for how to utilize prayer as a spiritual resource for connecting oneself and others to God. In this series Nancy Abbott, Chaplain of the Greater YMCA of San Antonio, addresses four common circumstances in which prayer can be a powerful resource. She encourages and models how we can all claim prayer as a tool for our lives. This study will give you the confidence to claim your privilege to pray.